Last week, the 111th General Assembly of the state of Tennessee began its two-year session, and operative word for all Capitol-watchers is “new.” With so many first time members of the Legislature who are still learning about the legislative process and how best to represent their districts, Tennessee’s electric co-ops have work to do. The upcoming TECA legislative conference, day on the hill, and legislative reception offer co-op Boards and staff a great opportunity to interact with legislators, both new and old, and engage in important public policy discussions. If your cooperative has not yet registered to attend, please do so. We look forward to seeing you there. TECA’s public policy partner is the law firm of Bass, Berry, and Sims. They recently published a helpful and concise overview of the beginning of this General Assembly. With the new session comes change not seen in Tennessee government in recent history, as over 30 new lawmakers were sworn in on the first day. 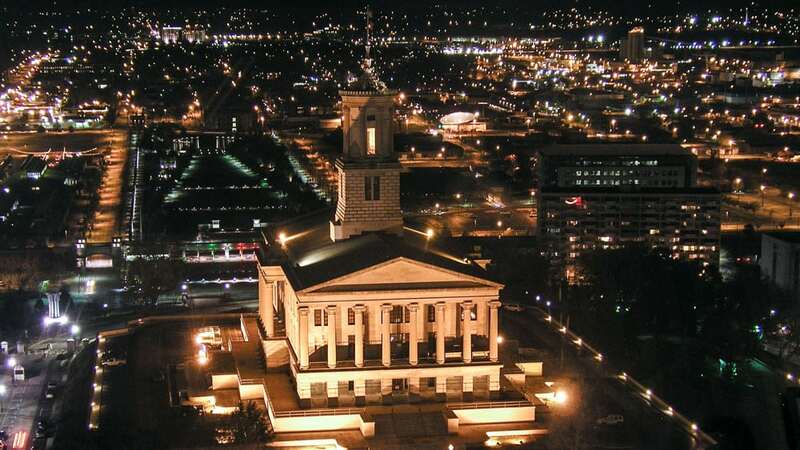 Lieutenant Governor Randy McNally (R-Oak Ridge) was again elected as Speaker of the Senate, and Glen Casada (R-Franklin) was elected to replace outgoing House Speaker Beth Harwell (R-Nashville). Harwell served as Speaker of the House for eight years. Governor-elect Bill Lee (R-Franklin) will be sworn in on January 19, 2019. Lee’s first major task of the start of his first year will be to finalize his commissioner appointments and present his budget. Lee is expected to give his first State of the State address and release his budget on March 4, 2019. As Lee begins his work he will be working with all new leadership in the House. In addition to the new Speaker, Majority Leader and Caucus Leader, the House has brand new committees and committee chairs. There is sure to be an extended learning curve this session with so many new legislators and committee chairs. The list of committees and committee chairs for the House can be found here. In the Senate, there were fewer changes. No new committees were created in the Senate, but there are five new chairs of committees. The list of committees and committee chairs for the Senate can be found here. After the inauguration, the Senate will take an additional week to organize before returning to business on January 28, 2019. The House will return sooner to resume its business on January 23, 2019. The bill filing deadline will be the first week of February. House members will continue to have 15 bills unless they chair a committee. In that instance, a chairman will have an additional five bills that must be related to the subject matter of his or her committee. 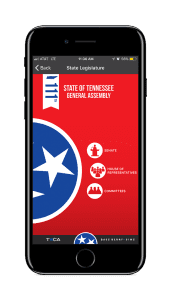 The 111th Tennessee General Assembly app features a continually updated, searchable database of contact, staff and committee information as well as district maps, photos, leadership roles and social media profiles for members of the Tennessee House and Senate. The app also contains information on the governor and his cabinet and the Tennessee congressional delegation. The app was developed through a partnership between the Tennessee Electric Cooperative Association and Bass, Berry & Sims PLC.